I am experiencing something completely powerful and amazing, wild and mind-bending! It is completely shifting my belief system. This thing has gripped me and I am going to attempt to share it with you now. So I pray for every person reading this….that the eyes of your heart would be flooded with light so that you can understand the confident hope he has given to those he has called (Eph 1:18). Because He has called us all. Here goes…. How many of us have ever thought or said, “I just want to be more like Jesus?” I know I have. A Lot. For years now, I have prayed that the Lord would help me do this “be like Jesus” thing. I have literally prayed, “Whatever it takes God!” And let me tell you, this is a dangerous, dangerous prayer….because He will answer it….in spades. And it will rock your world. In powerful and painful ways. So what does being more like Jesus look like? 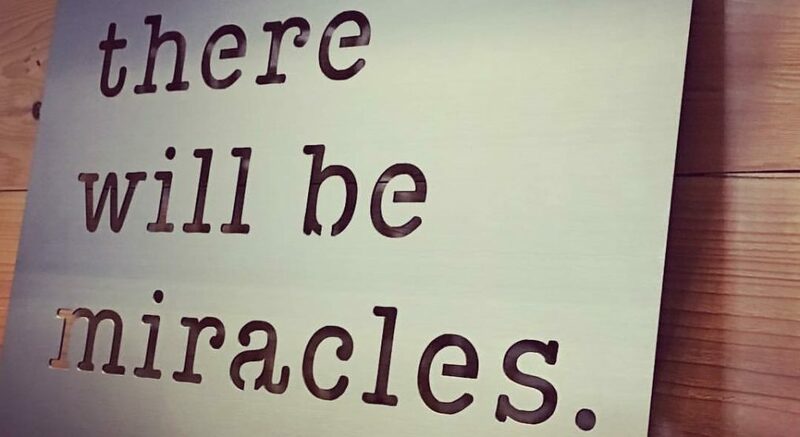 Is it telling thought-provoking stories or performing miracles? Is it being more tenderhearted or truthful? Is it mentoring people and showing great love to those who are difficult to love? Is it suffering as he suffered? How many of us have said, “I don’t believe that God would have me live this way,” when we are faced with mistreatment, injustice, or great pain that causes great suffering? Have we said this when a spouse betrays us, a child wanders far away from what they have been taught or a friend turns out to not be a friend at all? And in believing that “God would not have me live this way,” do we reject those people? Do we throw them away because they aren’t loving us unconditionally? Let me ask you this….are you loving them unconditionally? No. Probably not. What if I was to tell you that I believe we, the church, have had it all wrong? Would you immediately dismiss me and walk away? I understand if you must move on, but I wish you would stay. There may be something here that changes your whole life. This theme of suffering has been running through my life for more years than I ever would have imagined it could, as a fresh-faced 19 year old. You see, I look back and I realize how good I had it, how very little hard stuff I had to endure as a kid and a teenager. But then school was over. I didn’t see it at the time, but I started down a road that would turn into a journey, and that journey has forever altered everything I believe about God. I have suffered. A lot. Most of you know that. If I wrote a list, those of you who don’t know me, probably wouldn’t believe me. I’m pretty much a laundry list of Murphy’s Law. But it’s not Murphy’s Law. Not by a long shot. How many of you know the story of Hosea? Esther? Joshua? Daniel? Mary? Paul? The disciples? You see, God told Hosea to marry a prostitute and she betrayed him…over and over again. Esther was brought into the harem of a king…she was chosen for her looks, not for who she was. Joshua was sold into slavery by his brothers. Daniel was taken away to Babylon. Mary was chosen to be the unwed mother of Jesus. Joseph had to wrap himself around marrying a woman who was pregnant with a baby who was not his. Paul, who was first Saul, endured endless suffering as he was struck blind by God and then as a lonely, persecuted, homeless apostle of Jesus. And the disciples? All but one was martyred. But the real question is, How did those stories end? They all became intimate friends of God because they chose to embrace the suffering. So let me ask the question again. Do we really believe that “God would not have me live this way?” If growing deeper with Jesus really didn’t require suffering, then why did nearly every person that is highlighted in the Bible suffer? And why did God literally ask many to do things that He knew would bring suffering? Paul says it. I want to know Christ and experience the mighty power that raised him from the dead. I want to suffer with him, sharing in his death, so that one way or another I will experience the resurrection from the dead! (Philippians 3:10-11) I am coming to believe and understand that suffering truly is a gift, a great gift. Not a curse. Through suffering, I become a friend of Jesus. In a friendship, the more you can relate to the other person, the deeper your relationship can grow. When you understand, through experience, another’s road, the more intimate you become. Jesus suffered in a way that we cannot imagine when he was brutalized and broken on the cross. If we begin to embrace suffering, even in the smallest of ways, we begin to see and experience Him through a different lens. We begin the journey of relating, and we grow in friendship. Jesus crawled up on a cross to die. He didn’t want to, but he did. He crawled up on that cross and endured that horrific suffering because his Father asked him to. If I truly want to “be more like Jesus,” shouldn’t I be doing the same? Should I not offer myself up to suffering as He did, so that I can be more like Him, as I have said I want? If I reject my own suffering, as if it is a curse, I am rejecting the very essence of who Jesus is. I cannot be friends with one I reject. If suffering has overtaken your life, you now have a choice. You can look at this pain, this dark night of the soul, as something that you must hold your breath and grit your teeth to make it through, or you can recognize that the God of the universe, who holds all things in his hands, who loves you beyond what you can fathom, wants to be your friend. He wants you with Him in the end. This is who He is. Will you be a friend of the Bridegroom? Will you be a friend of the Bridegroom? I read this Mitz and it resonates with my reality right now. I have been fighting the very confronting pain of loss. Interestingly enough what is surfacing as a result is anxiety…let me rephrase that, what is being exposed is my addiction to anxiety. I love you Dan. Keep going. You’re getting somewhere even when you feel like you’re not. Every single move towards Him, even the tiniest one, moves His heart. Surrender is freedom. Period.